Bakhtiyar Kozhatayev (born March 28, 1992 in Petropavl) is a Kazakh cyclist riding for UCI ProTeam Astana. He was named in the start list for the 2016 Giro d'Italia. 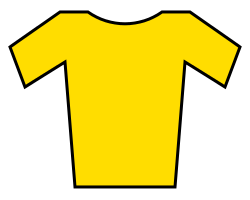 ↑ "Bakhtiyar Kozhatayev » Astana Pro Team". Retrieved 20 February 2015. Wikimedia Commons has media related to Bakhtiyar Kozhatayev.